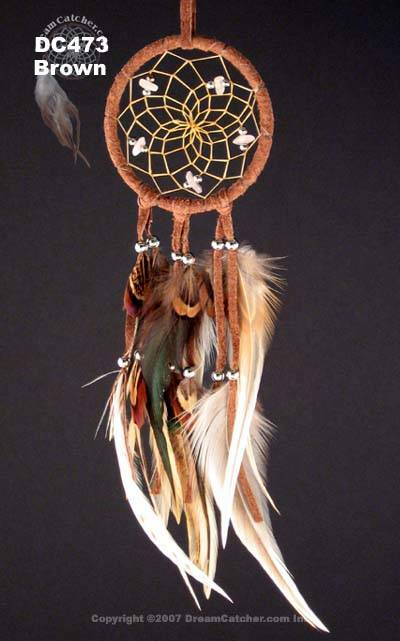 This beautiful Dreamcatcher with semi precious stones incorporated into the web comes in various shades of tan. 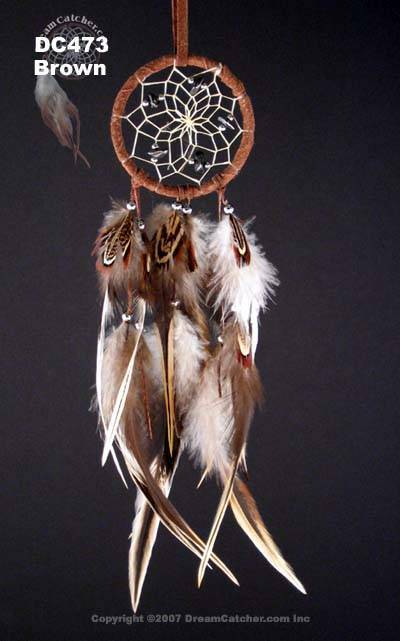 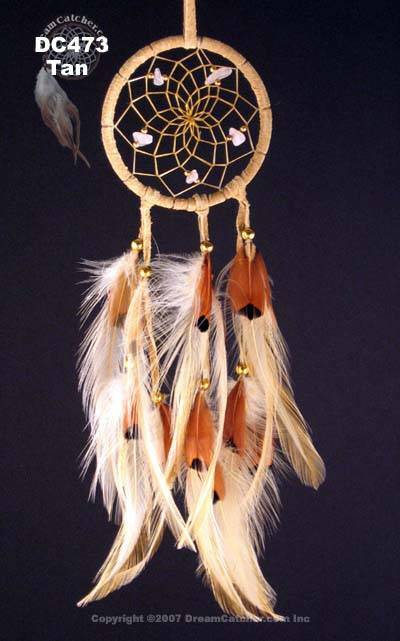 Feathers grace this dreamcatcher to guide your good dreams to you. 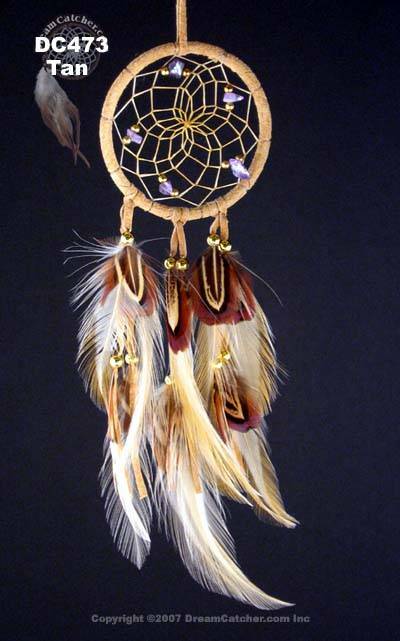 DreamCatcher with semi-precious stone beads in the web.